A variety of landscapes, more than 121 navigable miles of waterways and 35 miles of ocean and bay beaches make Virginia Beach a great destination for outdoor experiences. Whether you spend your time on land or in the water, you’ll find easy access to area parks and all the gear you need through local outfitters. With more than 130,000 acres left to nature throughout Virginia Beach, across freshwater and saltwater habitats, there’s a good chance you’ll encounter wildlife along the way. It’s always a thrill to be aboard on the calm waters of Virginia Beach. Take an offshore cruise to view the scenic coastline from a different perspective. Take a wildlife excursion to encounter dolphins, seabirds or even whales. 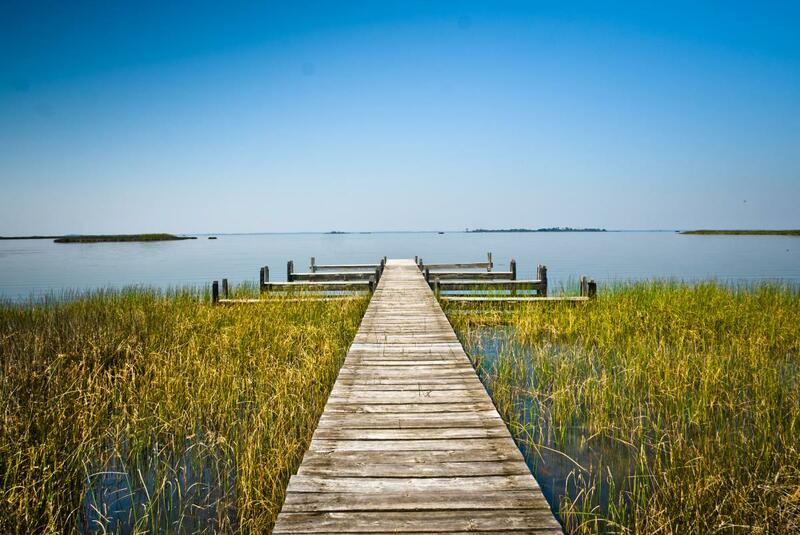 Tour a working oyster farm by boat and sample the harvest. There’s something for everyone with more than 20,000 acres to explore in area parks. 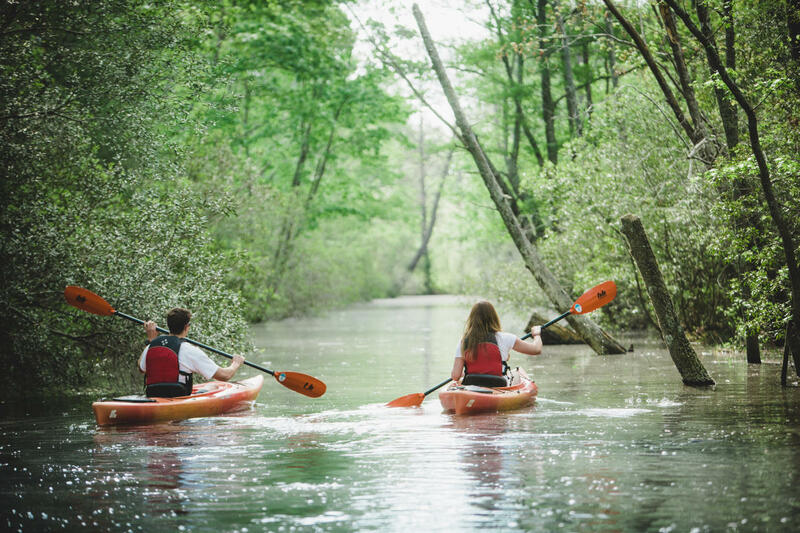 You’ll find a wide range of ways to enjoy nature and encounter wildlife, including trails through forests and marshlands you can travel by foot, bike, kayak or Segway. Rev up the excitement level of your vacation with some unforgettable thrills. Test your skills on The Adventure Park’s ropes courses and ziplines. See the coastline from hundreds of feet in the air on a parasailing adventure. Speed your way through local waterways by jet ski for heart-racing fun. Kayak inland waters or even paddle alongside dolphins in the Atlantic Ocean. 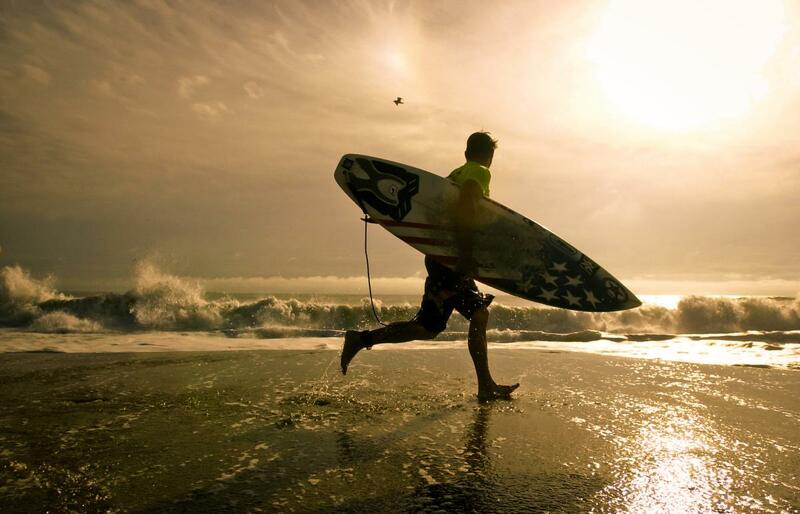 With lessons available, you can be a surfer or stand-up paddle boarder in no time.